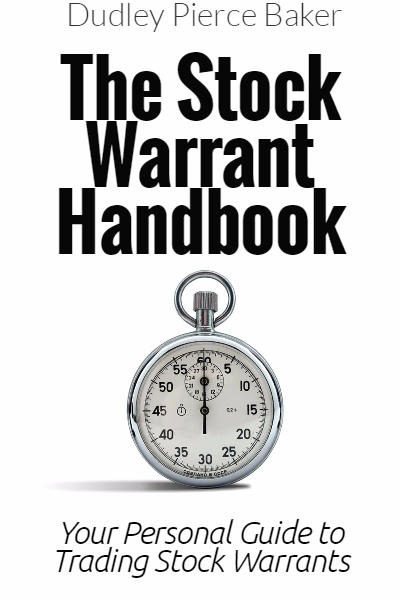 A warrant is a security (like an option) giving the holder the right, but not the obligation, to purchase the underlying stock at a specific price, within a specified time period. In essence, a warrant is very similar to a long-term call option. Warrants are usually issued by a company in connection with a private placement or a financing arrangement. Many of the warrants will remain privately held and will never trade in the open marketplace. Our service only covers warrants which are tradable on the exchanges either in the United States or Canada. As an individual investor, your objective is usually to only trade the warrant, not to exercise the warrant and the warrants trade freely, just like the common stock. Currently there are many warrants trading with expiration dates out to the years 2015-2019 (some longer) and although warrants expiring within, say, 2 years, may possess great upside leverage, they also pose a greater risk . It is widely recommended for most investors to focus on Warrants with at least 2 years left before expiration date. Using the above data, if you purchase one wt at a price of C$1.83 you now have the right to purchase one common share at C$6.00 until 17-Feb-2010. This is the exact principle of call options and LEAPS. The warrant intrinsic value is said to be C$.43 (current price of common C$6.43 – exercise price, C$6.00). The additional premium of C$1.43 (current price of wt, C$1.83 – intrinsic value, C$.43) is the time value premium placed on the warrants by the markets. An investor may purchase a warrant which is the option (the right) to purchase the common stock of a company. He may prefer to purchase the warrant instead of the common stock because the warrant offers more potential gain, that is the warrant offers the investor leverage.